Hello, my name is Liz King. I am a natural psychic with over 30 years of experience and have been aware of my psychic abilities since I was a child. I have previously done platform work and demonstrations. I mainly work with my guides and feel I have a strong connection with them. This connection can often allow me to see the root of a person's question and the possible paths that it may take. I see and hear my guides which can give me images of people and places and they guide me in different areas with different psychic skills. I try hard to guide many people to find their own way into and out of situations and I will do my best to give them confidence and belief in their own abilities, in order for them to get through situations with a positive frame of mind. I do chakra work and I am very in tune with my spiritual healing abilities such as reiki healing and crystal healing. I am also able to use my senses to hear, see and feel things. I will start by explaining how I work and I will make sure that my client is relaxed and at ease before the reading starts. I am a very enthusiastic reader. I am also understanding and down to earth and my aim is to make sure that my client leaves feeling uplifted and positive about their situation. I am able to give in-depth and insightful readings but I feel my strongest forte is love and relationships readings – which I thoroughly enjoy doing. My star sign is Taurus. During my spare time I like to do anything creative such as traditional crafts and my favourite, most inspirational quote is never stop believing in yourself. Liz is absolutely brilliant. A joy to talk too and one of the best ever on psychic tv. 5 star. Cant wait to talk to her again, like talking to an old friend. Highly recommended. Feeling down about a situation. Reading from another psychic had left me morose. Liz explained the situation in a different way and now I'm more positive. Thanks Liz. I'm a much happier person now. You are like talking to a friend. 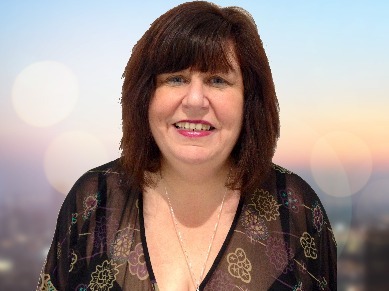 Get 15 minutes to speak to Liz King for just £4.99 (that’s a value of £22.50! )..